Aerobic exercise can help keep your heart healthy. Aerobic, or cardiovascular, exercise strengthens your lungs, your heart and all of your muscles. When you engage in regular aerobic exercise, you may see a decrease in your blood pressure and a lower heart rate. This means that your heart is functioning more efficiently and with less effort. See your doctor immediately if you experience shortness of breath or chest pains during exercise. Begin your daily exercise routine with some stretches to warm-up your muscles, improve circulation and increase the flexibility of your joints. Warming up can help you to avoid injury. Stretch your muscles for 5 to 10 minutes before every exercise routine. Aerobic exercise is more than the dance-type moves you have seen at the gym and on popular exercise CDs. Aerobic exercise is also walking, jumping, swimming, jogging, running, skiing, dancing, roller skating and ice skating. Swimming is one of the best types of aerobic exercise because it works the whole body, including the heart and lungs, and is very low impact. Try to get about 30 minutes of aerobic exercise 3 or 4 times each week. Don’t forget to cool down after 20 to 30 minutes of aerobic exercise by stretching to relax your muscles, cool your body and allow your heart rate to slow down. Swimming is one of the best overall aerobic exercises for your heart and lungs. 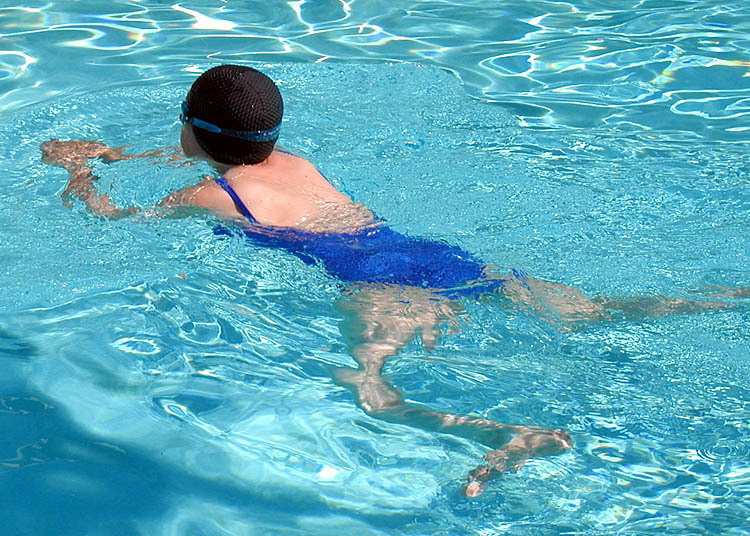 Water aerobics and swimming are an excellent choice for those with arthritis or joint injury. Beginners and weak swimmers should start with walking in the water and doing some water-squats. Build up your strength and endurance until you can swim continuously for at least 30 minutes. Once you reach the target goal of swimming continuously for 30 minutes, increase your swimming time a few minutes each day until you are swimming for a total of 60 minutes.